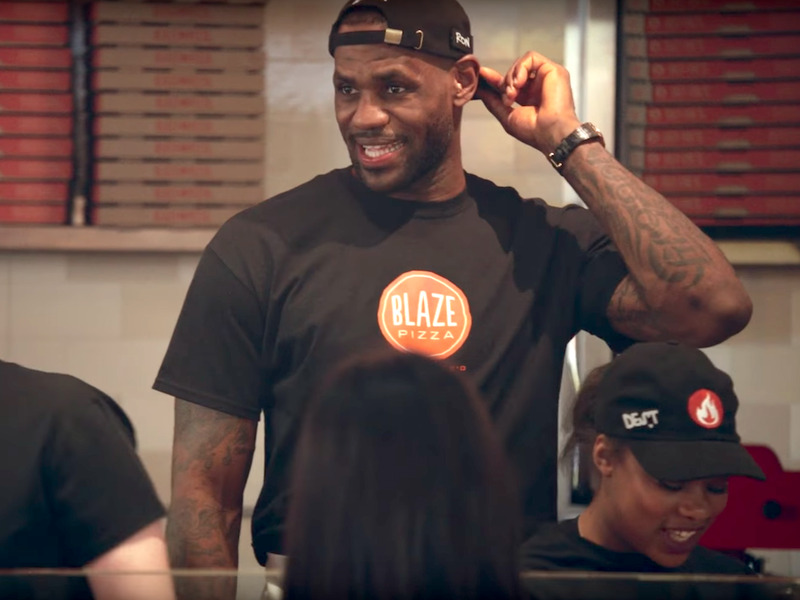 YouTube/Blaze PizzaThe CEO of Blaze Pizza said he didn’t ‘get LeBron James to leave’ McDonald’s. The basketball star came all on his own. 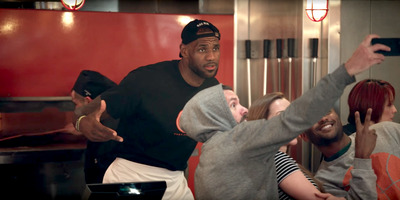 LeBron James left $US14 million on the table in 2015 when he ended an endorsement deal with McDonald’s to take on a bigger role at Blaze Pizza, a little-known pizza chain he invested in a few years earlier. Two years later, James’ decision appears to have paid off. 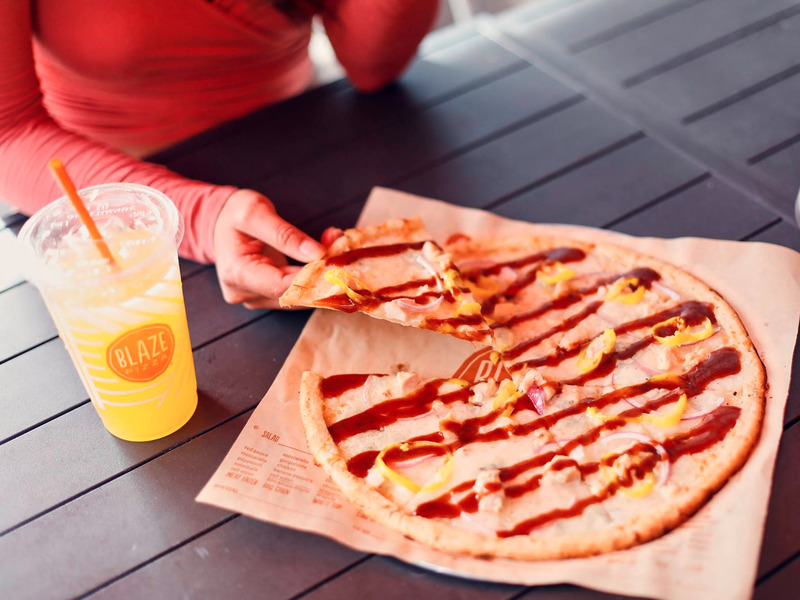 Blaze Pizza has rocketed from two to 200 locations across North America — making it the fastest-growing US food chain ever, according to research firm Technomic. Revenue is on track to hit $US300 million in 2017. According to Blaze Pizza CEO Jim Mizes, it didn’t take much convincing to get James to leave the Golden Arches. In fact, the basketball legend came to Blaze Pizza with the pitch. “LeBron is all about winning. LeBron’s all about making the people he plays with better. And I think very early on — I give him a lot of credit — he saw and he believed that we were the winner in this category. And he could help us be better,” Mizes told Business Insider. Blaze Pizza faces competition from legacy brands like Domino’s, Pizza Hut, and Papa John’s, as well as a crowding fast-casual pizza market that includes MOD Pizza, Pieology, and Pie Five. Facebook/BlazePizzaBlaze Pizza is the fastest-growing US food chain ever, according to food service research firm Technomic. James became an initial investor in Blaze Pizza in 2012, after trying the pizza and being blown away. He came on board as a franchisee and opened restaurants in Chicago and Miami. Three years later, James wanted “all in,” Mizes said. 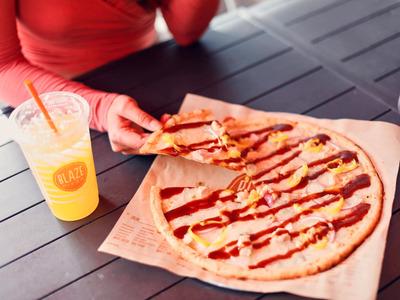 The basketball star’s business manager, Maverick Carter, crunched the numbers and showed that an endorsement deal with Blaze Pizza could bring greater returns than his arrangement with McDonald’s over four years. “We didn’t get LeBron to leave [McDonald’s]. LeBron and his people — his advisors — knew that perhaps the fit with McDonald’s wasn’t exactly what they wanted as they looked ahead at his brand and his career [and in terms of] building his wealth,” Mizes said. Blaze Pizza was more than happy to expand James’ role. The company plans to include him in marketing campaigns across advertising, social media, and in-store appearances. YouTube/Blaze PizzaLeBron James poses for a selfie with guests at Blaze Pizza. In 2016, James went undercover as a pizza-maker at a Blaze Pizza location for a television commercial. The video has been watched over 2 million times on YouTube. “It’s been good for us. I think LeBron has enjoyed it,” Mizes said.